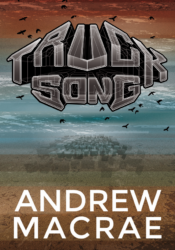 In a post-apocalyptic Australian landscape dominated by free-wheeling cyborgs, a young man goes in search of his lost lover who has been kidnapped by a rogue AI truck – the Brumby King. Along the way, he teams with Sinnerman, an independent truck with its own reasons for hating the Brumby King. Before his final confrontation with the brumbies, he must learn more about the broken-down world and his own place in it, and face his worst fears. The strange and playful voice of the first-person narrator keeps the story kicking along as he comes to his final realisation that the only meaning to be found in a world in slow decay is that which you make for yourself. This genre-bending work of literary biopunk mixes the mad fun of Mad Max II with the idiosyncratic testimony of works like Peter Carey's True History of the Kelly Gang or Irvine Welsh's Trainspotting. Audio - Galactic Chat, Episode 40 with Alex. Andrew Macrae lives behind a secret door on Brunswick Street in Fitzroy, Melbourne. He is a typewriter fetishist, a collector of plastic robots and a finder of lost dogs. He works full-time in his own freelance writing and editing business called Magic Typewriter. He plays in an instrumental rock band called The Television Sky, wherein he dowses for harmonic distortion and melodic flux with swamp ash and rosewood. His short fiction has appeared in Aurealis, Orb, Agog! Ripping Reads and Fantastical Journeys to Brisbane. He attended the inaugural Clarion South writers workshop in 2004. 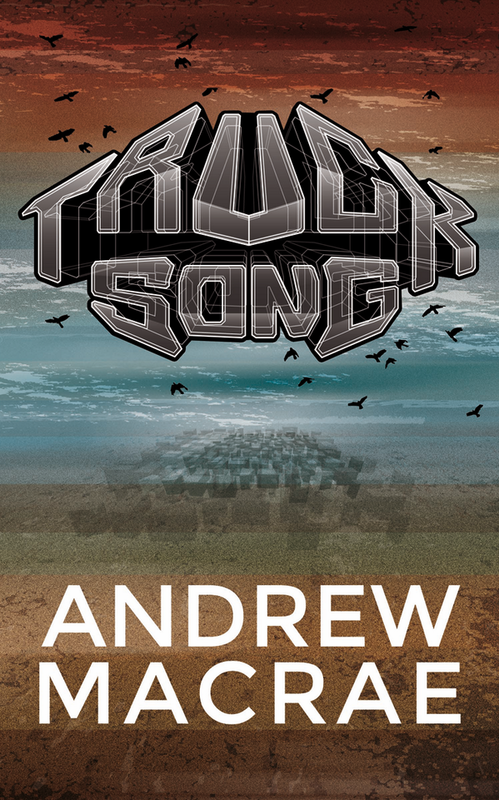 Trucksong is his first novel, and sprang from a childhood spent listening to the mournful sounds of semi-trailers as they crawled up and down the Great Dividing Range.